Please fill in every field on the form below and double check your spelling, punctuation, and numbers to ensure accuracy and submit for processing. Please fill in all of the fields below. If you are using a title outside the norm (Location Manager, Location Supervisor) be sure to get the approval of your supervisor. A final proof will be sent to you and your immediate supervisor for review. Please carefully review your card proof and reply with your approval or corrections. An email approval is required before the cards are put into production. We ask for a personal email address as a fail safe to send you the press proof for your approval. In some cases IT may not have activated your company email yet, so we send proofs to your personal email until you are set up with IT. Once in production most orders will ship in 10 business days or less. If you have any questions or need assistance with your order contact Lee at 713-304-2217. Your cards will be delivered to this address. 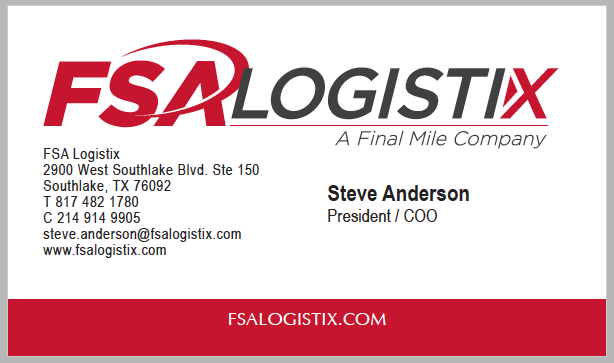 Supervisor approval is required if you are ordering business cards without a FSA location address. 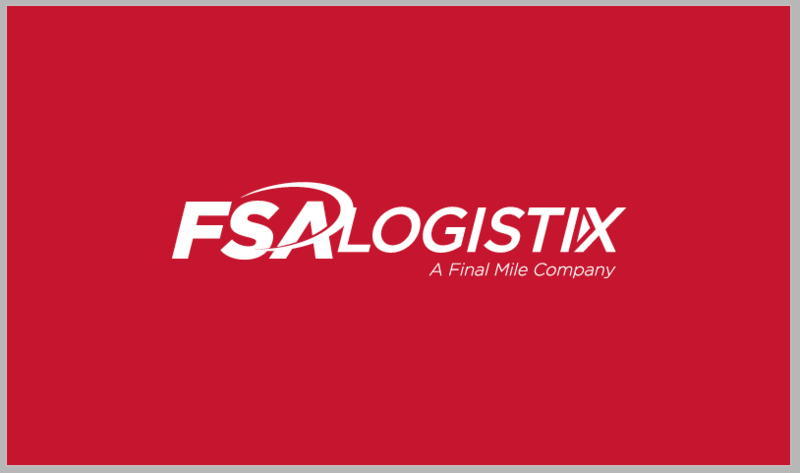 FSA brand standards are consistent for email addresses and are printed in all lower case with no capitalized initials. The only exception is for title designation of location manager (LM) and supervisor (LS). This email is NOT included on your printed card. It is used only to ensure you receive a proof of your card in case your FSA email has not been activated by IT. If you are working as a field supervisor and do not have an address, then put N/A in the address field. If you don't want a phone or fax number, just put 000 000 0000 in the phone fields. By doing this on your first submission it cuts out unnecessary revisions to your business card proof and speeds up the process. Field supervisors who need your cards shipping to your home address, please provide that information here.